In a recent survey, nearly 86 percent of the business professionals polled claimed they prefer to use email when communicating for business purposes. There is no denying just how powerful email can be when trying to reach customers and prospects. Whether you’re marketing new products and services to prospects, or keeping in touch and building loyalty with existing customers, email is an important, and effective channel. In fact, did you know that consumers who buy products via an email offer spend around 138 percent more than other customers? That’s why regularly communicating with your audience via email pays off. They can’t buy from you aren’t in their inbox. In order to have success with an email marketing, you need focus on building your database. This database is comprised of current customers, former customers, prospects and leads that you get as a result of your integrated marketing efforts. That’s where things like landing page campaigns, featuring offers and downloadable assets (think reports, whitepapers, and the like), can help you build and grow that database. But you’re not done once you have a database. You’ve got to regularly clean, verify, and validate the information contained in your database, as data naturally expires in a very short time period. Think of it this way: You acquire a contact in your database, but they change jobs within the existing company or they leave the company and move on. In today’s hot job market, this happens often, so the advantages of a clean email list — and taking steps to make sure that data is clean and verified before using it, is really important. Where Do I Start? How Do I Clean and Verify an Email List? So where do you start? We know that there are advantages to a clean email list, but how do you verify and validate those addresses? There are a number of email validation services available, all it takes is a little looking around. The team at V3B are fans of Email Oversight, who we’ve worked with for a number of years, largely because of their great customer service and a platform that really delivers. That said, there are other verification and validation programs available, and this list, produced by the folks at Accuwebhosting is a good place to look for some options: Top 10 Bulk Email List Verification and Validation Services Compared. A clean email list means that the contact information in your database is likely accurate and, as a result, you’ll see a lower bounce rate in your email campaigns. If you can keep your bounce rate under three percent, that’s a great goal. If your existing bounce rate is hovering around 3 to 5 percent, chances are you need to clean your list— by verifying and validating your contact database. Often higher bounce rates are caused by a long list of undeliverable emails. By verifying and validating your list, you can drastically reduce the number of messages that aren’t being delivered properly (i.e. the “bounced or undeliverable” emails). Consumers have a clear preference from email, and especially prefer email over voice or text messages. Think of it like this: When was the last time you were excited to answer a phone call from someone you don’t know, trying to sell you something. The great thing about email marketing is that it’s very measurable. If customers click on your email, that’s one indicator of interest, if they take an action in response to a call-to-action in your email, that’s another indicator of interest. If they make a purchase or make some kind of connection with you, the sender, that’s another indicator of interest. Conversely, when you make phone calls or send text messages and a prospect or customer doesn’t answer or respond in any way, it doesn’t tell you much. Email, done correctly, can tell you a lot about what your customers are interested in and what compels them to action. You can’t reap any of these benefits, however, without a database that is reliable and filled with accurate information about your customers and prospects. Once again, there are clear advantages to a clean email list. As mentioned above, emails that are sent to a clean, verified database are more apt to convert than emails simply blasted out to a messy. Better conversion rates mean more interested prospects and customers, and generally speaking more growth and sales. For businesses of all sizes, getting a great return out of an investment in marketing and, more specifically, an investment in email marketing is a top concern. If you’re working from a list that hasn’t been verified or validated, you’re not only throwing money away, you’re compromising the integrity of your email sending domain in the process. Bad data, incorrect contact information, and poor list management will pretty much always spell a death blow when it comes to success with email marketing—and do you really want to take that chance? In conclusion, when it comes to email marketing, make no mistake—it is incredibly important as part of your marketing mix. This is true whether you’re a B2B business or a B2C business. But in order for email marketing to work, your marketing house has to be in order, and that means that your data has to be clean. 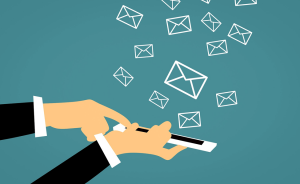 The advantages of a clean email list are many, and hopefully the resources we’ve shared here point you in the direction of finding the right email validation and verification service to suit your needs. The original version of this article was first published on V3Broadsuite. Ashley Lipman, a writer with the team at YouthNoise, contributed to this piece.